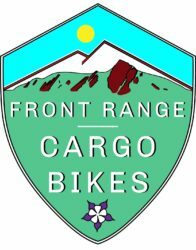 The Benno Carry On is a mid tail cargo bike with a ton of style. 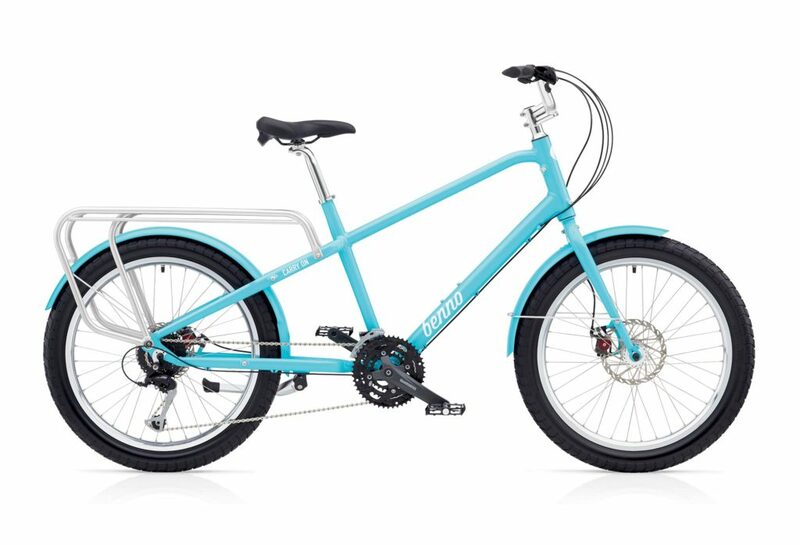 Starting at $1099, these bikes ave the heart of a cargo bike and the elegance of a cruiser. 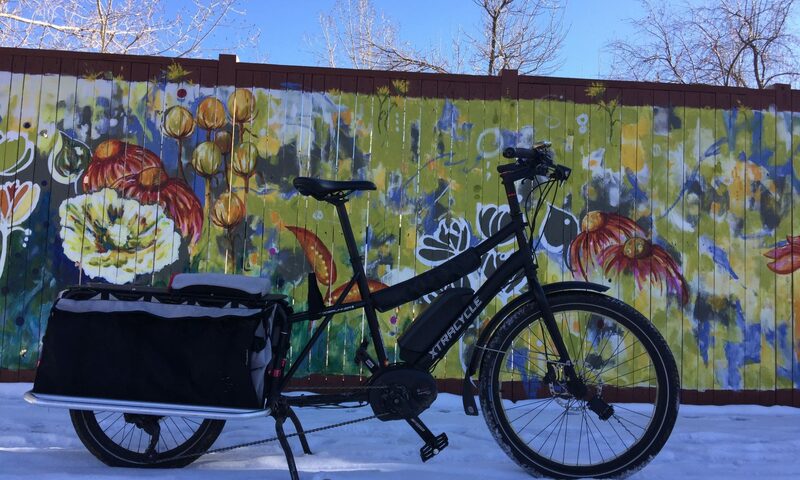 Painted rims, metal fenders and upright ergonomics make this bike a pea sure to ride. 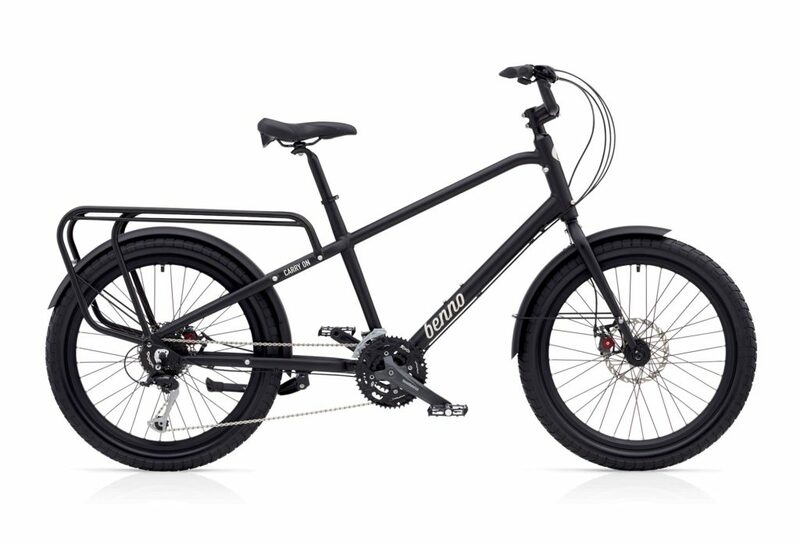 24″ wheels keep your loads closer to the ground while offering amazing handling. At $1099, the 27D looks good and rides great. Carry On in the color that will never go out of style. 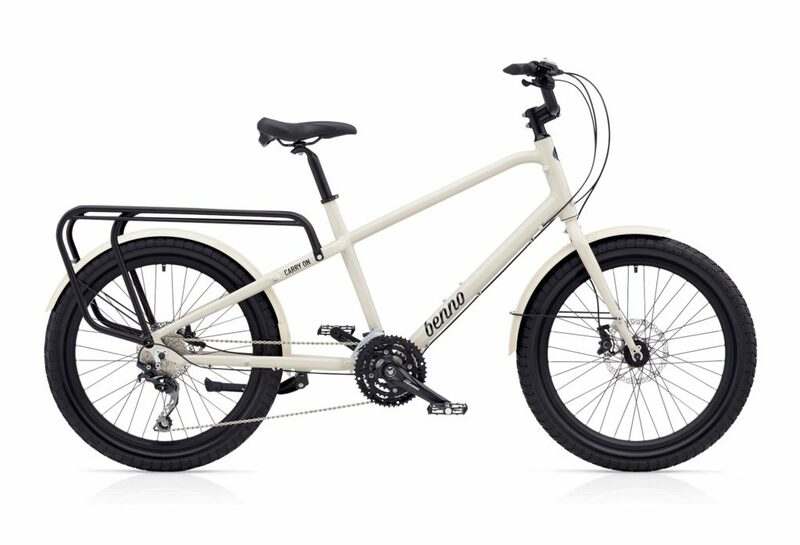 The Benno Carry On 30d comes with a 30 speed drivetrain and hydraulic disc brakes.